Adding credit to your account is easy. Setting up your automatic top up settings is recommended to ensure that your account will always be active. Enabling a credit warning will keep you aware of the state of your account. Select Account > Balance and Payments. 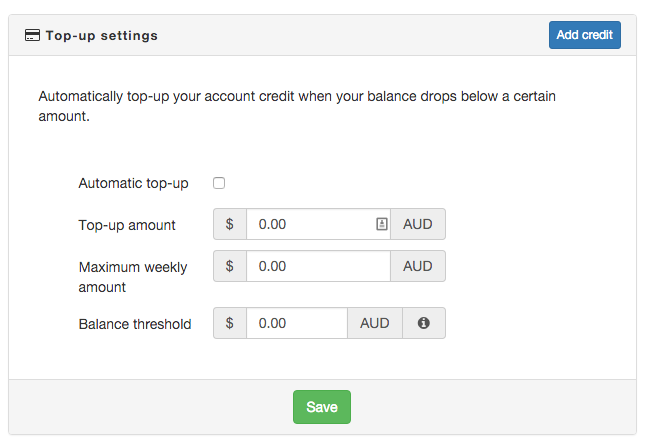 Setting up auto top up functions gives you the ability to have control over your billing account. Using YourCloudPBX you have three functions that you can enable to make sure you are always on top of your account. Top-Up settings: You can have your account automatically topped up when your balance drops below your nominated top-up level (e.g. $50). At the end of your billing month we’ll top-up your account to the nominated top-up level, so you start each billing month with the nominated balance. 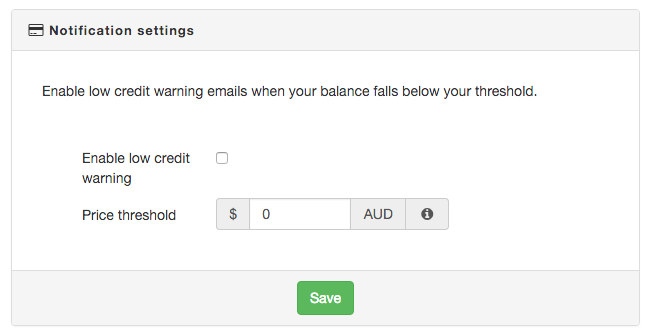 Notification settings: Have an email sent to you when your account falls below the threshold. 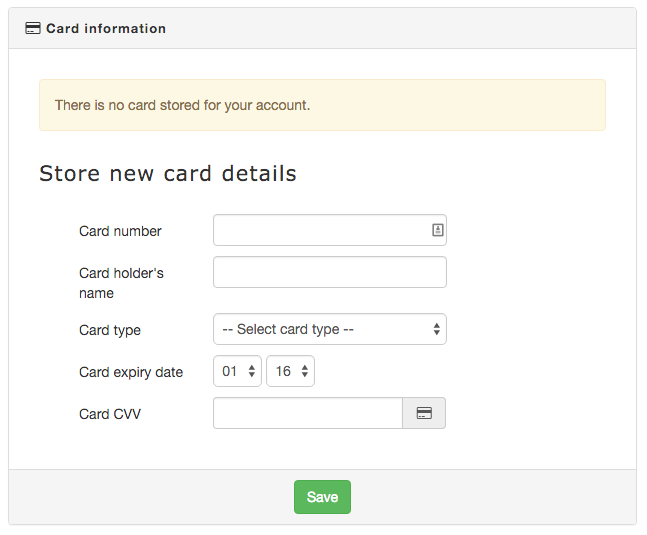 Stored credit card information: Securely register your credit card details so that you can make use of the Auto Top-up function and easily make payments to your account. Add; Top-up amount, this is the amount that your account will get top up at each time an automatic top up occurs. Maximum weekly amount- this amount is your weekly maximum spend. If you leave it at $0.00 your account has no limit, and your account will be charged an unlimited amount per week. Balance threshold- when your account gets below this amount the automatic top up will occur. Click Enable low credit warning, if you wish to enable this function. Add Price threshold amount– when your account drops below this amount you will be sent an email notifying you. If you leave it at $0.00 your threshold has no limit.